Our students are engaged by educators that empower and inspire their students to recognize their potential, dream big, and make a difference in the world around them. With a strong desire to rise to the needs of each and every student, the MAPS Administrative Team ensures the campus and faculty offer a diverse and expansive learning environment incorporating innovation in all facilities and programming with strong fiscal management. We provide every student with the knowledge and values necessary to become productive and successful citizens of our world. With innovation, dedication, and integrity, we create a learning environment that inspires every student and educator to reach their highest potential. Guiding Principle: We believe all students can learn. Non-Negotiable: Achievement – We will find the potential in each student and create an environment that supports their learning. Every child that enters our school district will receive our attention and dedication to finding the keys to their personal success. Guiding Principle: All decisions we make are based upon impact to effect learning. Non-Negotiable: Impact– We will focus all efforts on seeking ways to support and extend learning. Our focus is always on student learning. We are open-minded, lifelong learners who stay in touch with, share, and use research-based practices. We identify and revise practices that do not help students learn. Guiding Principle: We focus on goals that drive achievement. Non-Negotiable: Results– We will set measurable goals, identify improvement strategies, and skillfully adapt instruction to meet student needs. Assessment results are used to inform us about the effectiveness of curricular and instructional decisions. 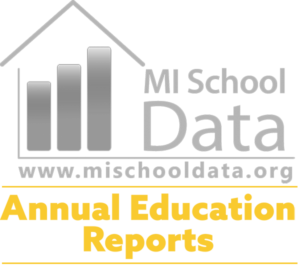 We analyze assessment results hold data-driven discussions and make impactful decisions for improved student achievement. We establish attainable goals for specific measurables, in both instructional efforts and individual student progress. Guiding Principle: We are committed to an atmosphere of mutual respect and trust. Non-Negotiable: Accountability– We will lead by example and take responsibility for the energy we bring to all that we do. We reflect the values of our Mission & Vision in our daily practice. When our actions match our words, we build trust and respect with each other, our students, and our support community. We work together to establish an atmosphere of trust and respect, in which we can all feel safe to communicate. Our interactions with students and each other are characterized by the tenets of TRACK. We allow individuals to feel comfortable discussing their observations or concerns with one another because they know they will not be judged or punished. Disagreements are treated with respect and acknowledged as an opportunity to learn and grow. Each individual is given equal time to express an opinion or share an idea. Guiding Principle: We believe that all students belong to all of us. Non-Negotiable: Guidance– We will hold ourselves responsible for supporting the educational experience of all MAPS students throughout our district. We accept and act on the belief that all students belong to all adults. We are committed to working beyond the boundaries of our classrooms and buildings to serve the needs of every student. We work together for the success of all students, there is no blame when things do not go well, but instead we are committed to seeking solutions to problems or setbacks in the interest of each and every student’s achievement. Guiding Principle: Working together enables us to attain our desired outcomes. Non-Negotiable: Collaboration-We will reach beyond our classrooms and work with each other to identify and support the strengths of every student. We work together to positively impact student achievement and deliver the Leading-Edge Promise. We focus on and speak only in solutions. Participation in culture building is both a right and a responsibility. TRACK guides the development of character and a positive school environment and is primary to our success as individuals and our ability to instill these values in our students and each other. Our commitment to communication allows for a productive work environment and therefore student success. We put education first, and we know we can deliver on this when we encourage each other to share our best ideas and work collaboratively. Ideas which lead to increased student learning are recognized and praised by peers. The documents below contain the 2012-17 MAPS Strategic Plan. We’re excited about this plan and the possibilities it provides for our students, parents and community to improve education at MAPS. This plan is the culmination of three community forums, four staff forums, one student forum, one Strategic Planning Team retreat and an electronic survey of more than 109 students, parents, staff and community members. Throughout the planning process the community expressed high expectations of MAPS becoming a world class school district and having all students graduate from high school. Even though some of the goals are extremely high, they reflect the strong desire that has been expressed to embrace significant change and dramatically improve the school system. There were several clear and consistent themes that emerged from this process. While much more work needs to be done, MAPS is headed in the right direction with positive momentum behind the academic growth, instruction reforms and innovative new school choices. The future of growth and success of MAPS must be a top community priority that requires support from all stakeholders (students, parents, taxpayers, businesses, non-profits, foundations, government agencies, etc.). As a district, we must do a better job of positively engaging and aligning internal (students, parents, staff and the school board) and external (taxpayers, community organizations, businesses, non-profits, government agencies, elected officials) stakeholders around common goals and strategies to significantly improve academic achievement and high school graduation rates. Our Strategic Planning Team, comprised of a very broad and diverse group of more than 30 stakeholders, developed the goals. We look forward to continuing to work in partnership with all sectors of our community to implement these goals and suggested strategies. Manistee Area Public Schools is an equal opportunity employer. District Policy: Nondiscrimination on the basis of race, color, religion, national origin or ancestry, gender, age, disability, height, weight or marital status in all activities and employment.